Police: 4 Flee on Foot After Crashing on I-95 in Burlington, Mass. 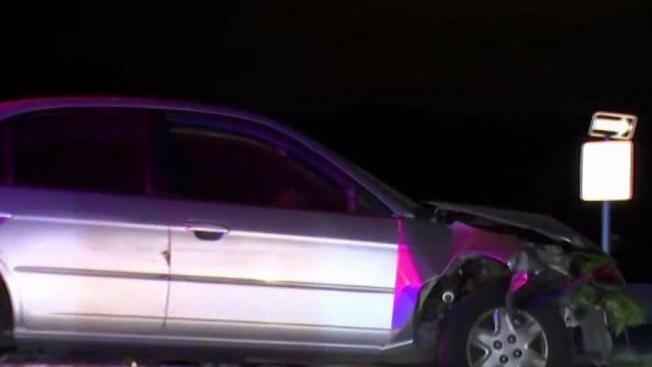 Police say four people fled after a car crash in Burlington, Massachusetts. Police say four people fled the scene after crashing a car on I-95 in Burlington, Massachusetts. The crash took place near Winn Street. Police say four people left the car on the northbound highway and fled on foot. A tow truck removed the wreckage from the road. The cause of the crash and the identity of the people remain under investigation.